Ombak Inn Chalet located at Nipah Bay Pangkor, welcome you to the finest beach resort chalet. Facing the Straits of Malacca it is surrounded by number of islands such as Mentagor and Giam. These islands are famous for their sand and sea activities. 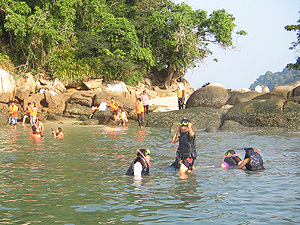 Pangkor Island has a population of about 20000 people and the primary occupation of the natives of Pangkor is fishing. 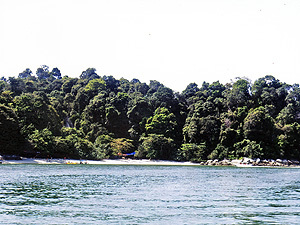 Besides fisherman villages, half of Pangkor Island is made of natural tropical rainforest. 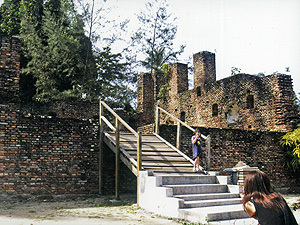 It has a historical spot such as Dutch Fort or Legendary Rocks. It is popular destination for outdoor enthusiasts to enjoy the sand, sea and hilly preserved tropical rainforest therefore ideal condition for relaxing and vacation be it to local Malaysians or foreigners. Ombak Inn Chalet at Nipah Bay situated next to Monkey Bay and Turtle Bay has a white, clean and quiet beaches. Staying at Ombak Inn Chalet gives you the opportunities to experience beautiful scenery and choices of tasty meal like grillfish as well as land, jungle or sea activities. 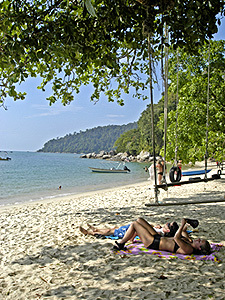 Bicycling, snorkeling, kayak, jungle tracking, bird watching, games and many more beach activities.